Barrier-free accessibility is a high priority for AIDA Cruises, the cruise line announced in a prepared statement. 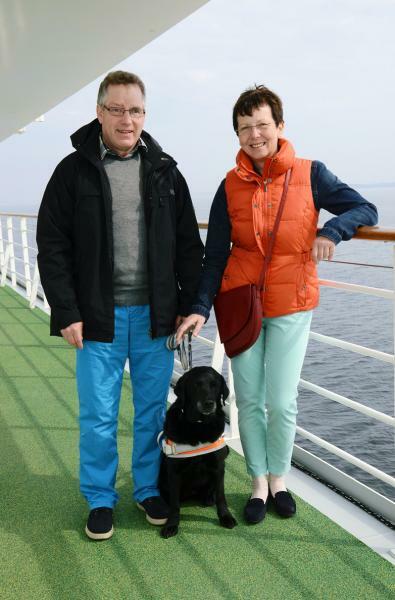 Thus, in May 2014, a certified guide dog accompanied a couple on an AIDA cruise for the first time. Nine-year-old Alfa helped her blind owner, Frank Kahms, make his way around the ship. This was a first for him and also for his wife Annelore and their Labrador Retriever Alfa. "Except for a ferry ride, we had never experienced traveling on a ship. Thanks to the competent advice provided by the AIDA barrier-free team in advance and their helpful support throughout the trip, we always felt right at home with AIDA," said Annelore Kahms. The fact that Frank Kahms' faithful companion Alfa was also able to be by his side every day on board was a great help for the couple. Pets are not normally allowed on AIDA ships. However, in order to ensure that guests with limited vision can navigate without any barriers even when they are vacationing at sea, the cruise line has allowed guests to bring certified guide dogs on board. AIDA has been offering guests with physical or health-related restrictions a comprehensive overview of barrier-free travel matters on its website since 2013. In addition to information for guests with limited mobility, vision, or hearing, there is a special area of AIDA's website that has a frequently asked questions section about barrier-free accessibility. The website also provides information for guests with allergies as well as onboard medical treatment information. 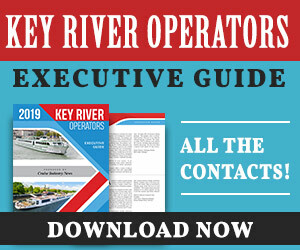 AIDA said that its specially trained staff members are more than happy to provide travel consultation over the phone or via email with guests who have any disability concerns. 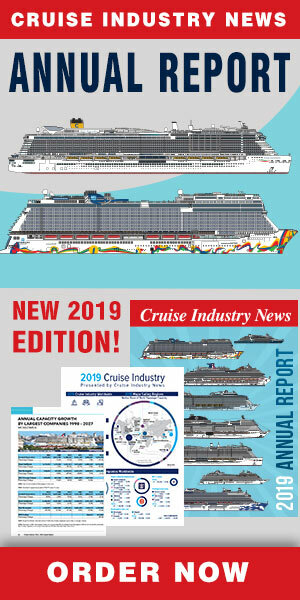 Nearly all public areas on AIDA ships, such as bars, restaurants, elevators, outdoor decks, public restrooms, and staterooms have barrier-free accessibility and are equipped with signage in raised lettering and braille. A barrier-free meeting that is held on the first day of travel helps guests navigate the ship without any issues. AIDA's shore excursion options also include excursions that are particularly suited for guests with limited mobility.